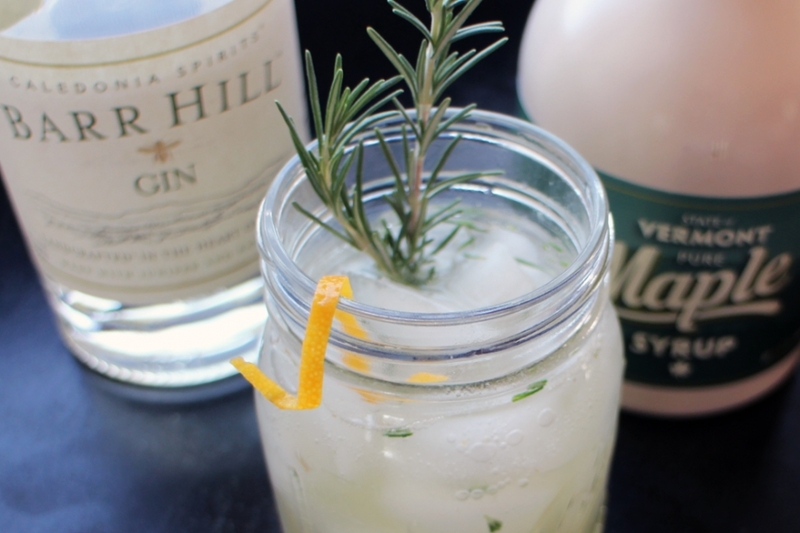 Muddle rosemary with orange peel and maple syrup in a shaker. Then add gin and ice, shake for 20 seconds, and strain into a highball glass filled with ice. Top the glass up with chilled tonic water, add a sprig of fresh rosemary, and enjoy! 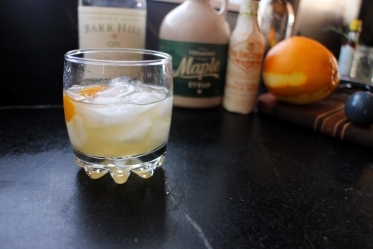 The sweetness of maple, the herbal flavors of gin, and the brightness of the orange in a smooth and refreshing cocktail.